Passive House is a globally-recognized building design technique that promises huge cuts in energy use for any kind of building in any climate. In a nutshell, the Passive House Design strategy relies on airtight buildings, super insulation, fresh air exchange and precise energy modeling. 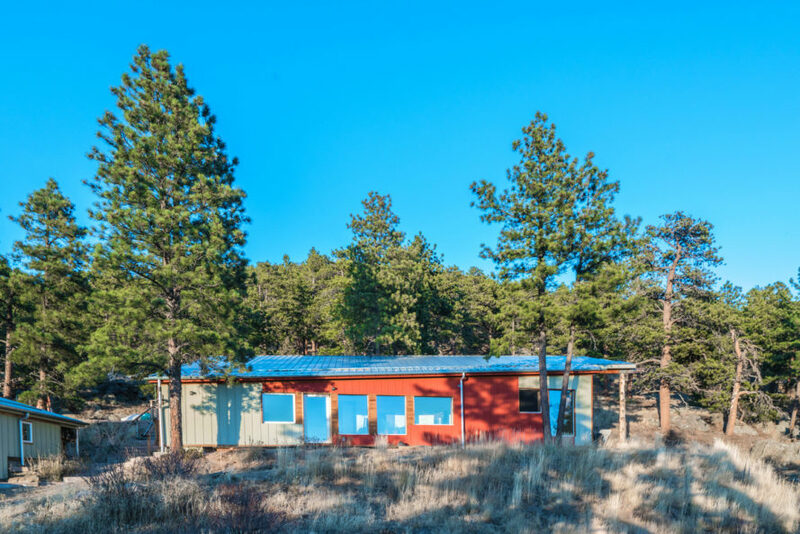 As a former Inhabitat contributor, I was keen to put Passive House design to the test in the Colorado Rockies, where the winters can be brutal and living off-grid comes with a tiny energy budget. The house I ended up building definitely lives up to its promises in terms of energy conservation, but the biggest surprise is how comfortable it is. 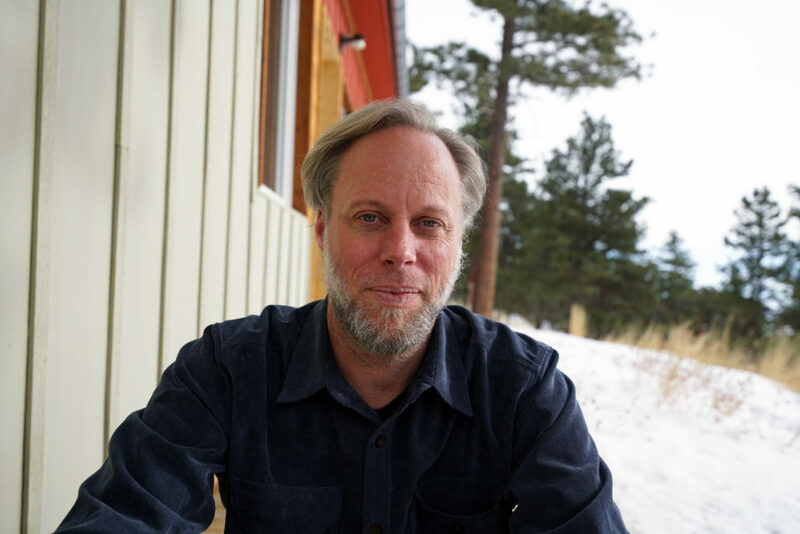 Read on as I tell my story about how I came to build Colorado’s most energy-efficient house. After years of building, research, and writing about green design, I became fascinated with the concept of Passive House design, which was originally pioneered in Germany. In Europe, hundreds of buildings have been built to consume 90 percent less energy than their neighbors, using super tight insulation and passive solar design, and the trend is gradually picking up in the US as well. 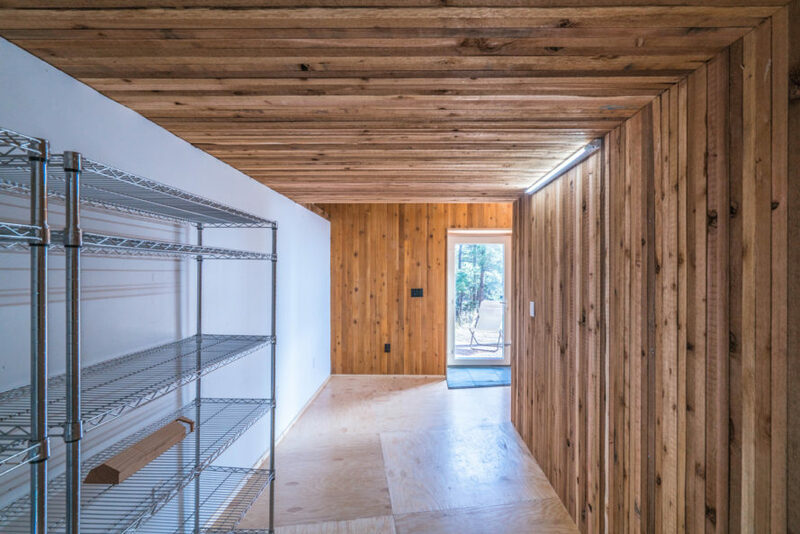 Reporting for Inhabitat, I visited a Passive House by NEEDBASED in New Mexico, and was impressed how well adapted it is to a climate that is both very cold and full of sunshine. The visit convinced me Passive House design is the state-of-the-art tool for building design, and that I wanted to apply it for my own home. Passive House has been both celebrated and spurned for its radical departure from normal building techniques. While in Europe it is catching on quickly, and is even being incorporated into the code from New York City to Vancouver BC, it is still considered exotic to many designers and builders. From the thick walls, triple pane windows, and sophisticated fresh air system, to the extensive energy calculations, Passive House design leaves little to chance and the certification process can be arduous. After having an erratic and disappointing experience trying to certify with the US based group Passive House Institute US (PHIUS), I ultimately chose to certify with the Passive House Institute (PHI) in Germany. One of the main issues when doing energy modeling is avoiding bad inputs. As I looked closely at the critical climate data that we were building, it turned out to be way out of whack. PHIUS was in the process of introducing a more climate dependent certification scheme, and building to such a careful system using bad data left a sour taste in my mouth. Other issues kept coming up and it was time to change the approach. The process of certification with PHI though the Passive House Academy took some time but went relatively smoothly. To my surprise, we beat the energy threshold by almost two times. This turned out to be great news as the home is only powered by solar electricity and has a small propane hydronic heating system. 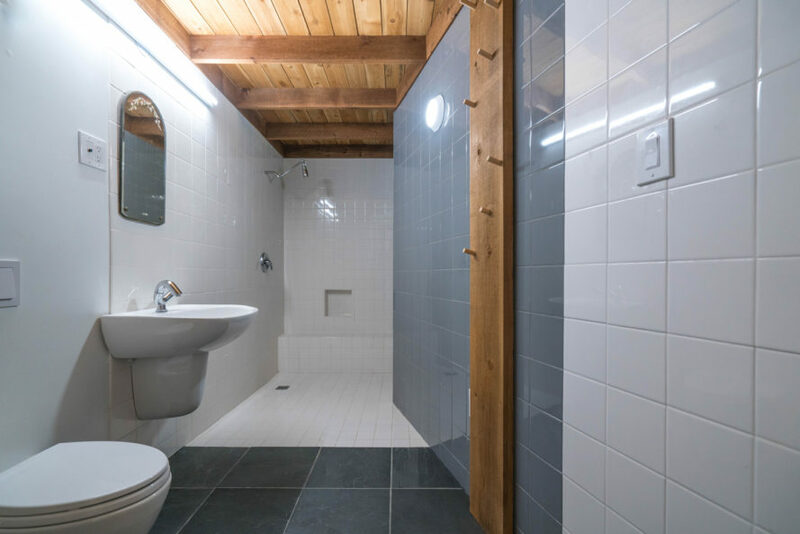 The home’s main heating source is the sun, followed by the “waste” heat of the occupants and appliances, and then finally a small hydronic heating loop in the wall and at the Heat Recovery Ventilation system. The home has been occupied for a year, and while it uses practically no energy for heating, the real take away is how comfortable it is. The house tends to naturally hover between 67 and 77 degrees Fahrenheit without heating or cooling. I use the heating system sparingly, so during a recent cold spell, when exterior temperatures reached -10 degrees, I let the house get down to 62 degrees. After taking a shower, I was surprised that it did not feel chilly like in most houses. Why? What I learned in high school physics class paid off. The heavily insulated building envelope reduces heat loss through conduction, but it turns out that ambient air temperature is not the only reason we feel comfortable or not. With such a tight and well-insulated envelope there is neither cold air coming in nor interior air circulating by cooling convection. But what really makes the difference is the radiantly neutral surfaces, especially the triple pane glass. My bare (and damp) skin does not bleed heat via radiation to cold surfaces, which in turn reduces the need for extra layers. The other discovery was learning the difference between passive solar design and passive house. A typical passive solar building will utilize up to 50 percent of a home’s south side for glass. This works well in some conditions, but in very cold weather there is significant heat loss, or things can get too toasty, especially in spring and fall when the sun sits lower on the horizon. My house comprises about 20 percent glass on the south side, which means it neither heats up dramatically, nor loses heat. That balance pays off in simplifying heating and cooling needs. Even so, the house can still get a little too warm in fall, so I have to be active in opening and closing windows and plan to add some movable external shading. Much is said about health and indoor air quality, but little is known about how Passive Houses keep occupants healthy. 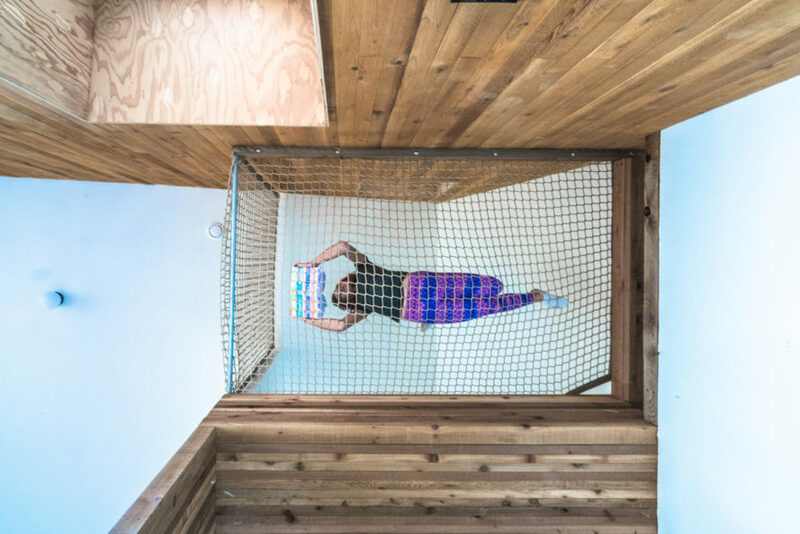 I tried to minimize potential risks by building with low-processed materials like plywood, timber, tile, and cellulose and mineral wool insulations. But activities like cooking can still be problematic, so the University of Colorado Boulder is measuring my home’s indoor air quality to see how a passive house compares to a typical house in terms of indoor air quality. I’ll keep you posted! Passive House is a globally-recognized design technique first pioneered in Germany that promises huge cuts in energy use for any kind of building in any climate. 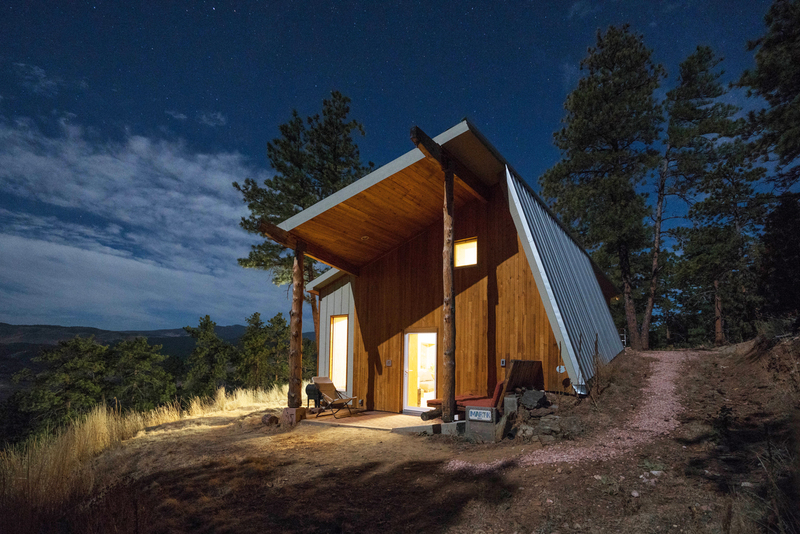 As a former Inhabitat contributor, I was keen to put Passive House design to the test in the Colorado Rockies, where the winters can be brutal and living off-grid comes with a tiny energy budget. The house I subsequently built definitely lives up to its promises in terms of energy conservation, but the biggest surprise is how comfortable it is. Read on as I conclude a three-part series about building and living in Colorado's most energy-efficient house. After years of building, research, and writing about green design, I became fascinated with the concept of Passive House design, which was originally pioneered in Germany. In Europe, hundreds of buildings have been built to consume 90 percent less energy than their neighbors, using super tight insulation and passive solar design, and the trend is gradually picking up in the US as well. Reporting for Inhabitat, I visited a Passive House by NEEDBASED in New Mexico, and was amazed how well adapted it is to a climate that is both very cold and full of sunshine. The visit convinced me Passive House design is the state-of-the-art tool for building design, and that I wanted to apply it for my own home. From years of building, research, and writing I became fascinated with Passive House. In Europe hundreds of buildings were developed that claimed they consumed 90% less energy than thier neighbors. I visited a Passive House by NEEDBASED in New Mexico for Inhabitat and discovered how adept it is to a climate that was both very cold but full of sunshine. This is the state-of-the art tool for building design so when I had an oppertunity to create one for my family Passive House presented the perfect challenge. What I learned in high school physics class paid off. The heavily insulated building envelope reduces heat loss through conduction, but it turns out that ambient air temperature is not the only reason we feel comfortable or not. With such a tight and well insulated envelope there is neither cold air coming in nor interior air circulating by cooling convection. But what really makes the difference is the radiantly neutral surfaces, especially the triple pane glass. So my bare skin (and damp) does not bleed heat via radiation which in turn reduces the need for extra layers. 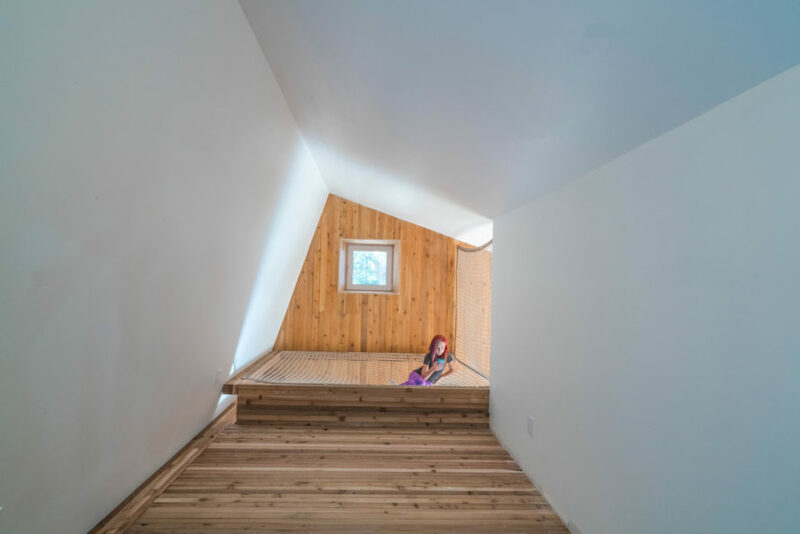 My Colorado Passive House has a loft which features a net bed and an intimate space in which to get cozy. The process of certification with PHI though the Passive House Academy took some time but went relatively smoothly, and to my surprise we beat the energy threshold by almost two times. The home has been occupied for a year so far, and while it uses practically no energy to heat, the real take away is how comfortable it is. After having an erratic and disappointing experience trying to certify with the US based group Passive House Institute US (PHIUS), I ultimately chose to certify with the Passive House Institute (PHI) in Germany. Passive House is a globally-recognized building design technique that promises huge cuts in energy use for any kind of building in any climate. In a nutshell, the Passive House Design strategy relies on airtight buildings, super insulation, fresh air exchange and precise energy modeling. 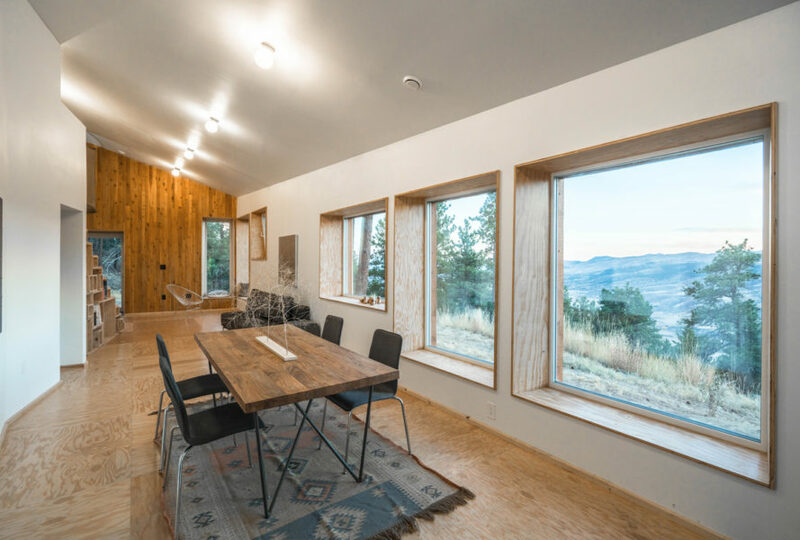 As a former Inhabitat contributor, I was keen to put Passive House design to the test in the Colorado Rockies, where the winters can be brutal and living off-grid comes with a tiny energy budget. The house I ended up building definitely lives up to its promises in terms of energy conservation, but the biggest surprise is how comfortable it is. Read on as I tell my story about how I came to build Colorado's most energy-efficient house. 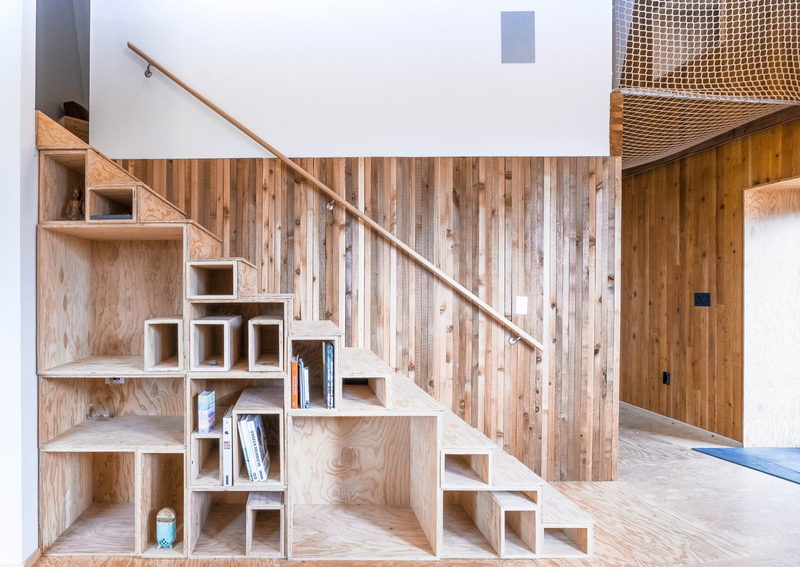 The stairs in my passive house are built from boxes to serve as storage. Some boxes pull out to act as quick little tables during parties. The other discovery is in learning the difference between passive solar design and passive house. A typical passive solar building will utilize up to 50% of the south side for glass. This works great under some conditions but in very cold weather there is significant heat loss, or things can get too toasty especially in spring and fall with the sun lower on the horizon. An oversized bench on the east side creates a protected outdoor room. The net bed also helps keeps the upstairs from feeling cramped and dark. It is also a kid magnet. I tried to minimize health risks by building with low processed materials like plywood, timber, tile, and cellulose, as well as mineral wool insulations. The back serves as a work shop. The walls and floor are made from nail-lam cedar 2x4. The bath features a sunken shower for age in place needs. Simple pegs lend a place for damp towels.